Rimuru Tempest and company are coming back for more adventures in the Jura Tempest Federation! 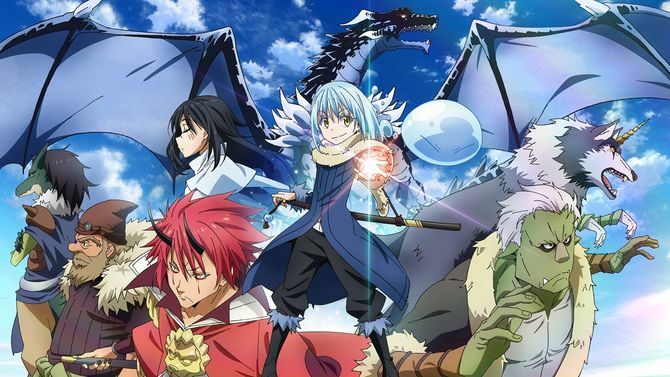 That Time I Got Reincarnated as a Slime is getting a second season anime in 2020 according to the anime Twitter account. The anime adaption of That Time I got Reincarnated as a Slime began airing October 1. Crunchyroll is streaming the series as it airs in Japan and Funimation is streaming English dub episodes. The anime’s 23rd episode, set to air on March 11, will be the final episode. However, two episodes will follow but they are not apart of the series storyline. Episode 24, titled “Kuro to Kamen” (Black and Mask) is an anime original and will air March 18. The bonus 25th episode has an air date of (ironically) March 25. The Japanese fantasy light novel series is written by Fuse, and illustrated by Mitz Vah. It began serialization online between 2013 and 2016 on the novel publishing website Shōsetsuka ni Narō. It was acquired by Micro Magazine, who published the first light novel volume in 2014 and twelve volumes have been released as of July 2018. The light novel has been licensed in North America by Yen Press, who published the first volume in December 2017.